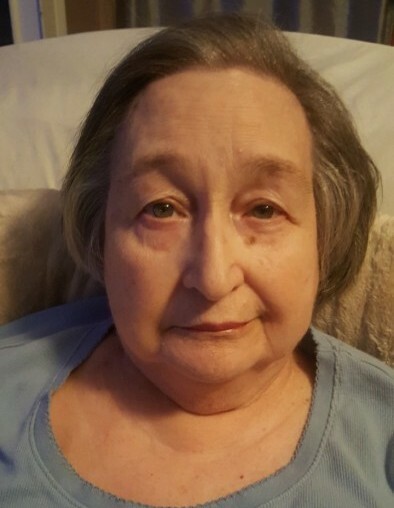 Bernice Ruth Johnson, 79, of Columbus, Georgia passed away August 19, 2018 at Columbus Hospice House. Funeral services will be held Wednesday, August 22, 2018 at Colonial Funeral Home Chapel beginning at 1:00 PM ET. The family will receive friends from 11:00 AM until the service begins. Interment will follow at Fort Mitchell National Cemetery. Mrs. Johnson was born September 2, 1938 in Louisville, Alabama to the late, Athan J. and Ruthie Bell Grantham Ammons and was Baptist by faith. She was a retired daycare worker. Surviving are her 5 children, Rita Johnson Benford, Cynthia Elaine Coulter, Linda Kay Parks, William Athan Johnson, Anthony Keith Johnson, 2 brothers, Emmett T. Ammons (Maetrist), Bobby Joe Ammons (Ann), 6 grandchildren, Kevin Mathew Benford (Coralie), Daniel Lamar Benford, Christopher Joey Coulter, William Adam Coulter, William David Johnson, Cassie Lynn Johnson, 6 great-grandchildren, nieces, nephews and cousins.